Vigilance Properties delivers leading protection services across the UK. 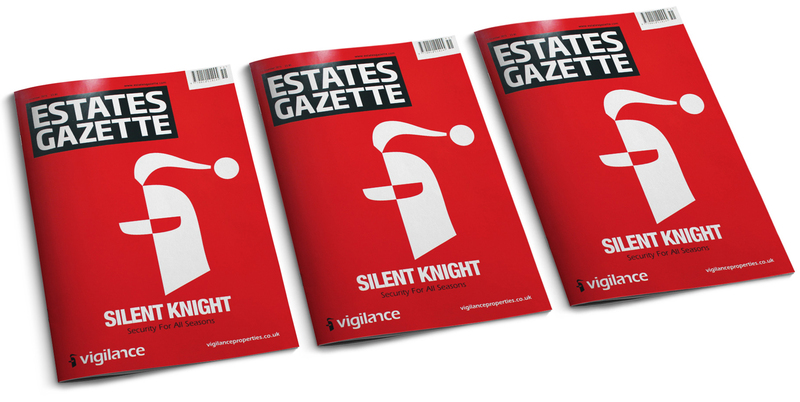 In addition to the design and delivery of the organisations marketing collateral, the Sears Davies team was asked to come up with a one-off, brand building, name awareness front cover for the Estates Gazette to hit shelves the week before Christmas. With a simple ad-lib to the existing logo and a subtle play on words, Vigilance got exactly what they wanted for Christmas!